Create multiple spigots of income for your retirement. The end is the beginning. When you retire you are at the end of your earning career but at the beginning of your investment career. Some large corporations provide investment assistance for a period after retirement, but in the end, whether you worked for a big corporation or ran your own beauty salon, you will need to manage your finances during most of your retirement. In my blog I have written about one investment manager that is public and shares with you the money they make from managing other people’s money through a dividend. That stock is Westwood Holdings symbol WHG. Ordinary investors who start saving for retirement in their mid-thirties and get really interested in creating wealth in their 40’s are my target for this article. 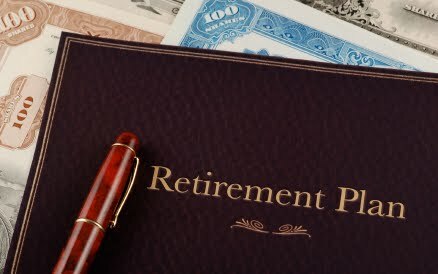 If you invest with the goal of creating income later in life, you will be a very successful and happy retiree. My best advice to young investors is to execute a plan designed to develop multiple spigots of income. Do not depend on any one source be it social security, your teacher’s pension, your defined benefit plan, your stock option, the lottery or Uncle Henry’s promised bequest. Don’t depend on any one, but use them all. The easiest example to understand the concept of multiple spigots of income available to ordinary investors is to think about the investor who spent time in a government career. The government allows people in its employ to serve enough time to create a government pension yet leave the government at a time of life when they are still productive. Government law enforcement employees like those with the USPS actually must retire at age 55 when they could and should pursue a second career. 10 years in the private sector provides this person with social security benefits as well as the opportunity to contribute to a qualified retirement plan. I know more than one of these talented, resourceful, energetic people who went on to teach at the university level creating yet another spigot of income. Every successful investor needs to invest with the purpose of creating multiple spigots of income using whatever resources are at your disposal. Be creative in determining the resources at your disposal. Real Estate is a frustrating but very rewarding spigot of income to cultivate. It is not easy but the tax advantages and the potential for future income is undeniable. The riskiest but most rewarding real estate investments are done privately. I personally have been involved with winners and losers. You have to cultivate relationships with proven real estate investors and hope you have saved enough money to invest with them. Leverage is a necessary part of real estate. For the average investor, it takes too long to save up enough money to buy an income property outright. You have to use leverage. For instance: you buy a one hundred thousand dollar rental property using only 10% down or $10,000. Your tenant covers the cost of the leverage, better known as a mortgage, and the ongoing expense through the rent you charge and then you sell the property for two hundred thousand dollars. After paying off the $90,000 of leverage you just turned $10,000 into $110,000. Turn that $110,000 into income through more real estate or take your gains and move into another asset class like stocks. Personally I think, if you are successful enough to have created this capital gain and you did cover your expenses from rentals, you will find a property that will turn $110,000 into $1,000,000. Most ordinary investors who create multiple spigots of income have some real estate income. It may be a condo bought for income, it may be in partnership with others to buy something bigger than a single condo. It may be in a real estate investment trust. Build equity in a business and use your success to leverage the purchase of the real estate your business runs out of. Now you own two assets. One is the ongoing business and if you sell it and help the purchaser of that business be successful you may end up with a capital gain and a long term tenet providing another source of income. Work your personal budget so that you can fully fund or match every 401K, 403B, pension plan, IRA, Roth IRA possible. I like to see young people devote no less than 10% of their gross income into retirement vehicles. If 10% of your gross income is greater than you are allowed to contribute by law to qualified retirement or pension plans, then consider tax advantaged savings such as municipal bonds, annuities, or a foundation. But if you have so much income that a foundation is one of your options, hire a wealth manager. Costs can eat up savings which is why I do not like annuities; they are too expensive. Corporate pension plans provide mostly mutual funds and you have no choice but to pick one or more of those funds and suffer the costs. But for the self-directed money you have saved, I recommend using ETF’s. My favorites are SDY and SPY and I have been looking at VIG as good sources of steady, and rising income. I find that few young people, especially those raising children, have enough time to execute a disciplined investment plan by themselves. ETF’s are low cost investments that concentrate on both growth and income. It is always nice to have income while you wait for growth. ETF’s are the best alternative, in my opinion, to managing your stock portfolio yourself. Be as diversified as your experience and your contacts allow you to be. If you have tried and you just cannot manage your investments, then your alternatives are ETF’s or mutual funds. If you have success with real estate or second trust deeds, then go with those investments. Learn while you invest. If you know other people who invest money cultivate contacts that could help you invest in private real estate. Diversity in a portfolio means you have investments in multiple asset classes, some in stocks some in bond or trust deeds, some in real estate, some in your small business or stock in your corporate employer. Diversity also means to have diversity within each asset class. Don’t count on one very expensive property to deliver the income and growth you’ll need in the future. It is better to have multiple smaller properties that cover more than one geographic area. Never, ever use a bond fund. Bond funds pool their bonds and you are not guaranteed return of principal as you are with an individual bond. This is why I am not a fan of target date funds. Target date funds move the client between and stocks and bonds based on their age but the bond holdings are pooled. This is not a good way to invest the bond portion of a well diversified portfolio. When interest rates are more favorable than they are now, invest in individual bonds that you buy at no more than par and possibly at a discount. Ladder your bonds by maturity. Every major brokerage house, I use Schwab and Co., has a bond desk that will help you create a laddered portfolio but you must set the guidelines for them and you need to understand the concept of bond ownership and laddering maturities. Principle value will vary but a bond held to maturity will give you back your money. Never, ever use a mutual or ETF to build your bond portfolio. When investing in stocks, stick with US companies and to get global exposure go with the big cap companies. Mc Donald’s symbol MCD or Johnson and Johnson symbol JNJ or Pepsi symbol PEP, I can go on and on, are the kind of stocks you want to buy. Learn enough about the fundamentals of a stock to make a reasonable choice. Make a list and buy these good companies when it appears there is opportunity. Opportunity moves around the universe of stocks. Commodities stink right now but they have been good several times in my lifetime. Energy is weak but has delivered a lot of good income to investors who already retired. Research suggests 20 well diversified stocks will be enough to create a good portfolio. (Note 4) Gradually leave the world of ETF’s and begin to develop your portfolio about five years before you retire. The market will be volatile enough that you can pick from your wish list and add stocks when you see opportunity then reinvest the dividend until you need it When you do this in a qualified retirement account the results are stunning due to the fact you are not taxed on the growth or the income until you take the money out. Be patient as asset classes will go up and down in value. Be patient as specific holdings within asset classes will go up and down. Don’t be afraid to make a mistake; correct it as soon as you can but be sure to consult your plan so that you are not making emotional rather than disciplined decisions about your assets.